Retrofitting – transforming a traditional vintage timbered house using the latest available technology to make life more comfortable for its inhabitants and reduce its energy consumption. 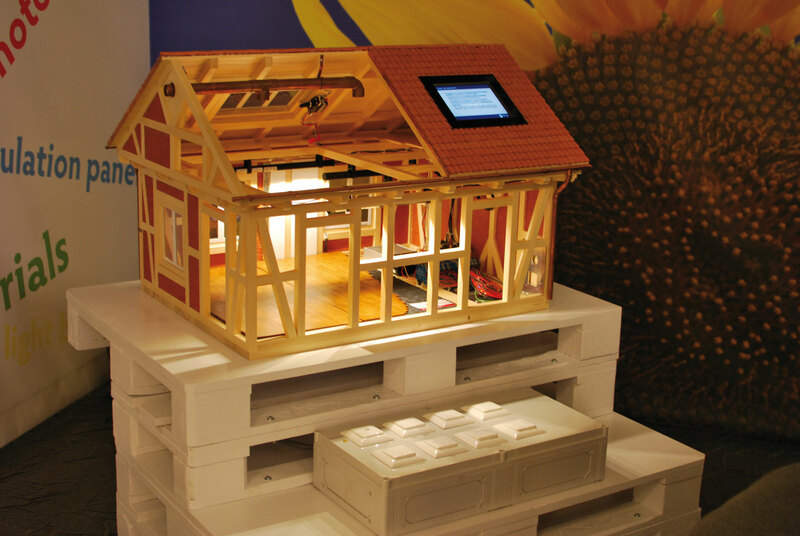 Since the availability and portability of an original 400 year old timbered house is quite limited, researchers from the University of Tübingen have built a mobile showcase for retrofitting. Clear-up wants to improve buildings for their occupants by using new and optimized technologies, and the aim of this demonstrator is to increase understanding of new technologies and how these can be used. Understanding on the one hand for technologists and construction engineers, and on the other hand, and maybe even more important, for the general citizen and customer. We want to make clear-up’s ideas understandable for everybody and to stimulate new thinking about buildings. The clear-up demonstrator shows how to integrate different solutions and how to make them work together. Consequently the model will be an ongoing construction site, fitting together the latest components as they become available. Hot and unpleasant smelling air – indicators, asking for a reaction. Poor air quality, ‘the smell’, can be detected by appropriate sensors that activate an energy efficient ventilation system. These could be fan driven with heat recovery or through natural, but controlled, supply and exhaust openings. At the same time it might be possible to use electrochromic (EC) windows to prevent the rooms becoming hotter from solar radiation. By dimming the windows the advantage of visual contact to the outer world is preserved (in contrast to traditional blinds) while the temperature increase of the room is reduced as much as possible. This scenario is completely managed in the current version of the model house. Based on two sensors (temperature and indoor air quality) the building management system (BMS) controls the three different actuators mentioned (a self-opening roof window, 3-stage-ventilation and four EC-windows). Additionally some passive components have been installed. Two illumination systems are available. A fibre-based light guide system to transport naturally available light from the outside to darker areas inside the house has been installed to complement artificial light sources. The use of phase change materials (PCM) and vacuum insulation panels (VIP) is shown as well. PCMs remove heat from a room and store it for release when the temperature drops whilst VIPs are a highly efficient and very thin means of applying extra insulation. Users can control the system via the BMS’ web interface or a simple customised display. The construction and implementation of such a downscaled system is providing a lot of input concerning upcoming challenges. Observing issues like connectivity, sensitivity and handling of the components provide useful knowledge for later installations at the project’s full-scale test sites (see article p. 6-7) and even further on the customers site. Having the possibility to touch state of the art technology, the house enables us to raise an awareness in a special and interesting way. It is about show & tell. Inside of the clear-up consortium the model gives a base for technical discussion and outside of the consortium it is an easy starting point for a story resulting in conversations and discussion with stakeholders and the general public. All the collected experience, while constructing as well as the feedback out of numerous discussions, will influence the upcoming development of components and the overall system. Eventually, everybody can be involved in the development and the application of the clear-up approach. 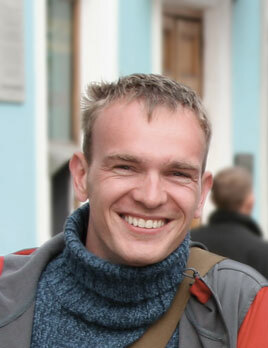 Thomas Heine graduated as an engineer for computational visualistics. His Ph.D. research focuses on the technical fusion of the areas energy efficiency and Ambient Assisted Living (AAL) at the gas sensors research group Weimar, Department of Physical Chemistry, University of Tübingen. He is responsible for the visual representation of clear-up.